One of the reasons I love the weekends is because it gives you a chance to slow down and an awesome excuse to cook a delicious breakfast. 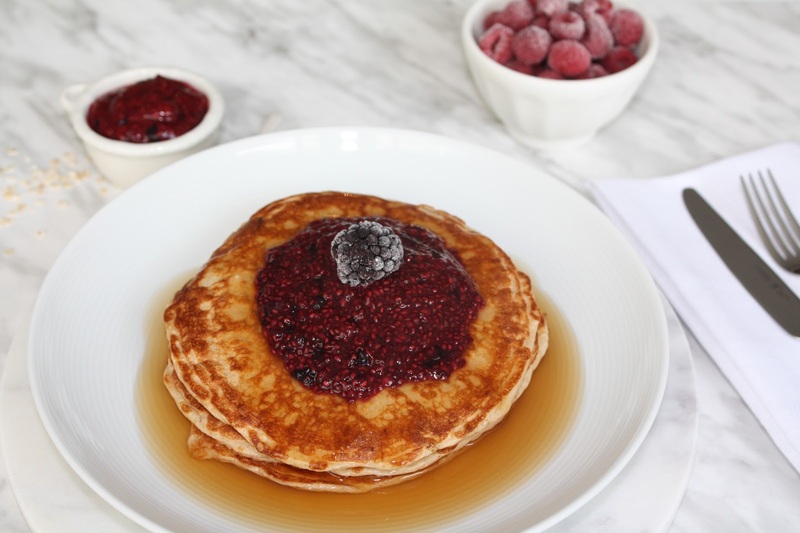 Who doesn't love pancakes? I mean seriously, they're the ultimate weekend breakfast (or in my case, lunch...or dinner...). 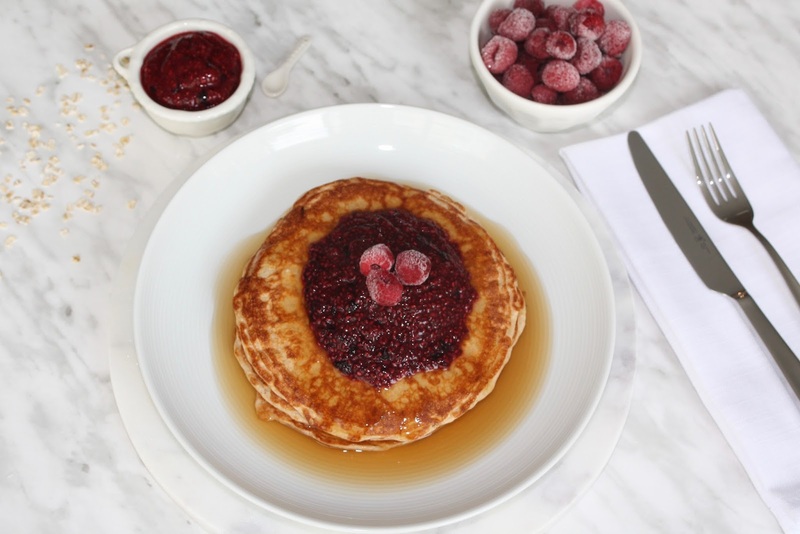 The only problem with "traditional" pancakes is that they're usually not great for you. Especially when they come from a box you mix with water. No bueno. (Also boringggg). 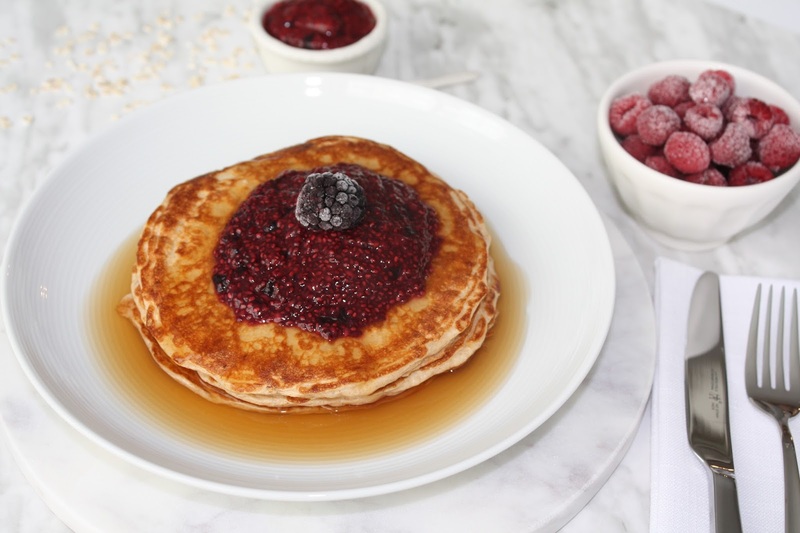 These are the best-tasting protein pancakes I've come up with so far and there are so many ways you can be creative with this recipe. I use Cellucor cinnamon-flavored whey protein as my protein powder of choice in this recipe. If you're into baking with protein powder I highly suggest this flavor as it really lends a hint of cinnamon, but otherwise disappears into the background of your baked good. Cellucor and Genuine Health are my go-to brands for protein powders - but feel free to use the brand and flavor of your choice. 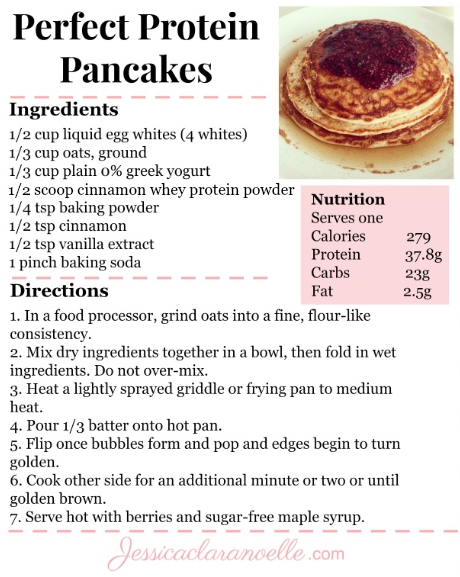 Or, omit the protein powder altogether and just add a little more oats to maintain the consistency of the pancake batter. Easy! Once you make pancakes from scratch I promise you won't want to go back to the just-add-water boxed variety. Actually, I feel that way about ALL food - that's why I really wanted to share recipes on my blog. It's so easy and ridiculously satisfying to cook real food at home from scratch. And SO much better for you. I generally top my pancakes with homemade jam and calorie-free maple syrup, but you can also add fresh berries, coconut whip, chocolate chips, nuts, honey - the possibilities are endless! 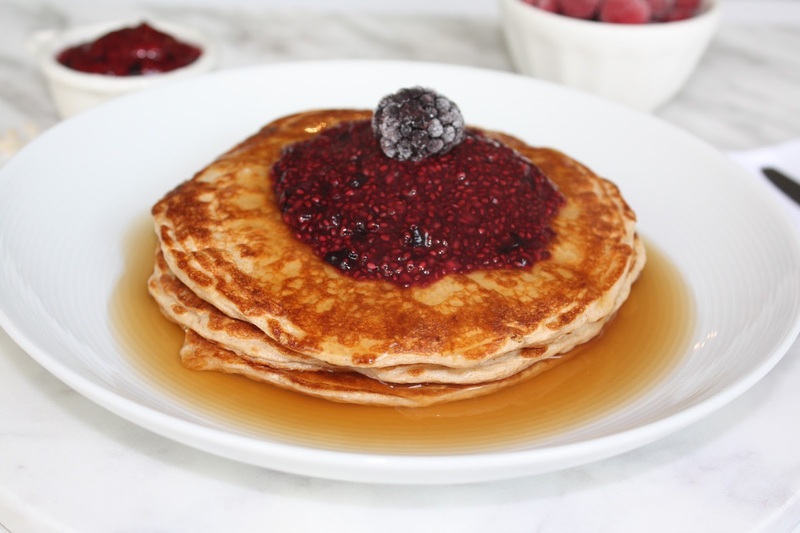 I'll be sharing the recipe for my incredibly easy and healthy three ingredient triple berry jam that you see the pancakes topped with very soon. It's heaven and you're going to love it! If you try this recipe I'd love to know your thoughts, topping variations, and see your beautiful pictures! 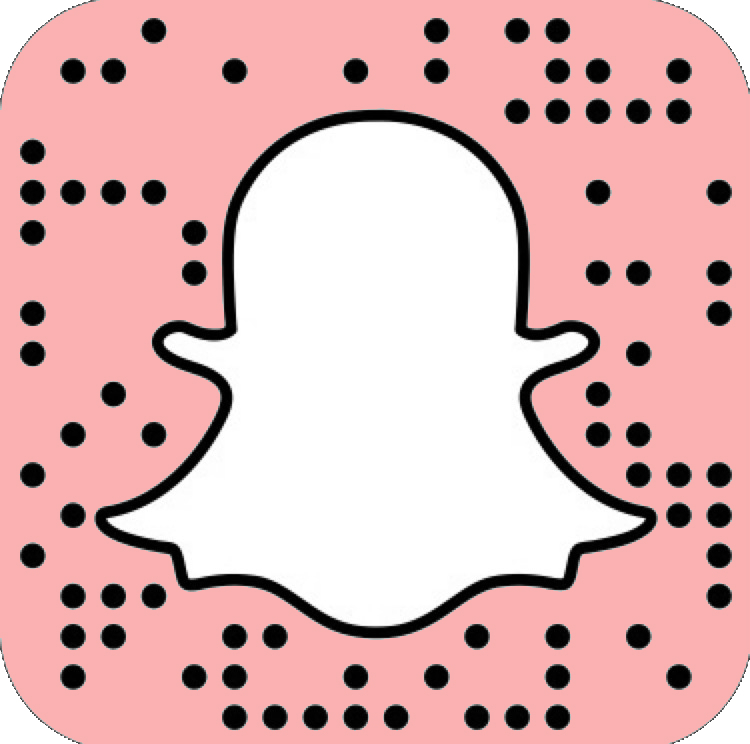 Tag me on social media #jessicaclaranoelle !